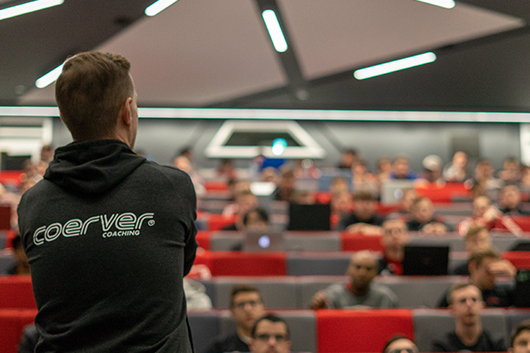 On Monday 9th April 2018, Coerver® Coaching England & Wales Director, Scott Wright, was invited to deliver a lecture to the undergraduate students studying on the BA Football Studies course at Southampton Solent University. Based in the heart of Southampton’s city centre, Solent currently has approximately 11000 students and offers in excess of 20 sport courses – the university’s reputation is continually growing as one of the strongest educational programmes in the country. Faculty member Clywd Jones is a Senior Lecturer within the School of Sport, Health and Social Sciences and has played a pivotal role in the development of the relation between the Southampton Solent and Coerver® Coaching England & Wales. “We feel that Coerver® Coaching is at the cutting edge of skill development within football” said Clywd. 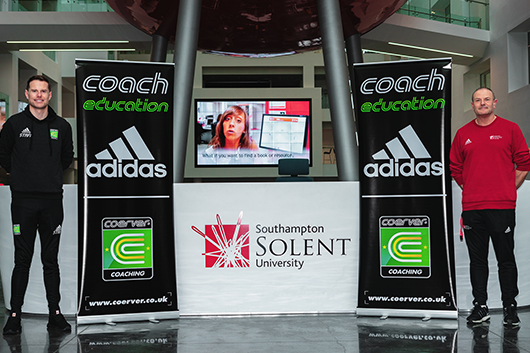 “In the past, we have had excellent people graduate from Southampton Solent and join Coerver® Coaching England and Wales” added Coerver® EW Director, Scott Wright. April 2018 saw the Coerver® EW team travel to London and Manchester to kick off the 2018 Coerver® Coach Education Pathway courses. 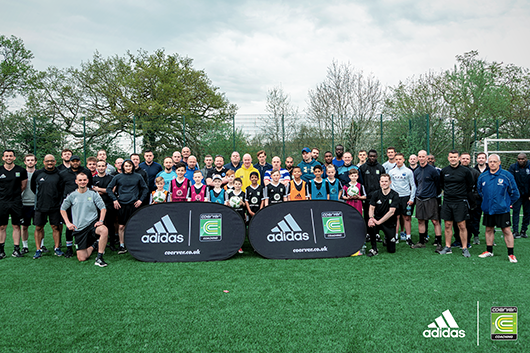 In excess of 100 coaches from across the UK and abroad attended the Coerver® Intro courses held on Saturday 21st April (London) and Sunday 29th April (Manchester). Course attendees were led through the course by Coerver® EW Director, Scott Wright, who delivered both theory and practical sessions outlining the evolution of Coerver Coaching since being founded in 1984. 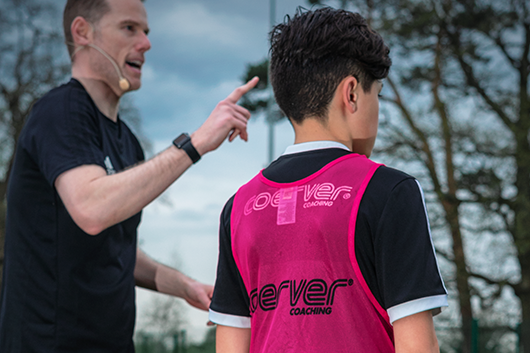 “Our recent Coerver® Intro courses were the perfect way to launch our 2018 coach education pathway programme” said Scott.